Brittani was introduced to the idea of pursuing a career in the dental field by the encouragement she received from her mom and a hygienist friend of hers. After assisting chair side for a bit Brittani agreed, “Mom knew best”. Off she went to BYU, and then to Coastal Bend College in Texas, there she received her Associate degree in Dental Hygiene. 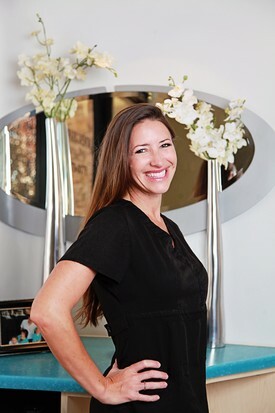 For over 14 years, Brittani continues to enjoy creating lasting relationships with patients while helping to educate and inform them of their dental health needs in a way that is easily understood. Her patients look forward to her cheerful disposition and her great appreciation towards even life’s smallest details; it’s natural for her to share both with all that meet her. The East Valley of Arizona is where Brittani grew up, a rare native. Along with her husband, twin daughters, and a son, she raises the next generation of Arizona natives. Brittani is devoted to the needs of her family and cherishes each moment they share together. As her children are now all in elementary school she gets to spend a little more time embracing her love for reading. Brittani plays the piano; although, she claims she can’t sing a note. She feels blessed to share in family travels near and far alike. After enjoying 5 years serving patients as a dental assistant, Jessica decided that learning more about how she could help improve the dental health of her patients was something she really wanted to do. 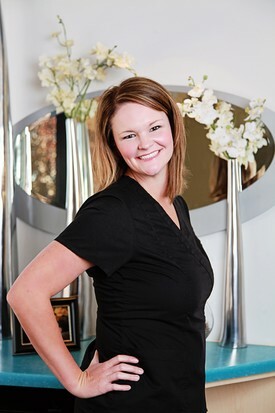 For over 7 years now, Jessica continues to proudly serve her dedicated patients as their Registered Dental Hygienist. If time and responsibilities of life allowed, she would have continued her education beyond her degree earned from the Rio Salado Dental Hygiene Accreditation program to become a dentist. Jessica’s passion to consistently educate herself and her patients on all aspects of dental care does not waver. And neither does the delight of her laughter she shares with all. Jessica and her young daughter appreciate spending as much time as they can together. Being outdoors playing basketball, baseball, or any active sport keeps the two of them happy. Their daily dose of goofy dances and fits of laughter shows the special bond they share. Family and friends are lucky to be able to often share in their excitement for life. It’s not only her pretty red hair that sets Jonilynn apart from being average; it’s her dedication and sense of responsibility. She continues to share her talent for treating and educating patients with the same committed spirit as when she first became a provider, and that was over two years ago. After an appointment with Joni, as we call her, patients leave feeling confident about the dental care they received and learned about. Being married and having two small children doesn’t keep Joni from enjoying the outdoors as much as possible. Her family, and their many extended members, spends a lot of time creating memories together at family owned cabins in northern Arizona. Joni loves horses so much she explains she even enjoys the many smells that go along with them…too bad for her that her husband is so allergic to them that she will never get her own to love and SMELL! As a graduate of the Mesa Community College Dental Hygiene Program, Melinda is very organized and has a keen sense for detail. Her wish is to share love and kindness with every person she meets. Therefore, spending time with patients day after day allows Melinda the opportunity to provide oral health procedures, maintenance, and education necessary to achieve the ultimate goal of overall health for each individual. Before Melinda decided to pursue her career in the dental field, she previously studied music performance while playing the flute at ASU. Currently, her life revolves around parenting a son with fire red hair and a personality to match. Engaged to the love of her life, Melinda also stays busy with the many details of planning their beautiful upcoming wedding. As a self proclaimed band geek/nerd, she enjoys musical films, Star Wars, Harry Potter, and Superheroes. This all explains her wish for everyday life to be more like a musical; as she and others around her hear melodies, breaking out in song at any given moment would be a normal occurrence!